When I first booked my trip to Norway, coffee was far from my mind. For me, Norway was a land of fjords, forests, and untamed wilderness—a place you visit for nature, not for food and drink. And until recently, Norwegians might have told me they felt the same way. Though they lead the world in coffee consumption—second only to Finland in kilograms of beans per capita—many Norwegians don’t view coffee as a complex tasting experience. Instead, it’s just a beverage that flows freely from drip machines, powering Norwegians at work and at home. “The typical way to drink coffee in Norway is to put on the Moccamaster in your workplace or in your room, and let it sit out for a few hours,” says Christian Nesset, barista and director of barista education at Kaffemisjonen. Nearly 30 percent of Norwegians drink Friele, a mass-market coffee based in Norway and sold in grocery stores. But that’s all changing. In 2004, Norwegian Tim Wendleboe won the World Barista Championship. “That did something to the culture in Norway,” Nesset says. It sparked an interest in specialty coffee in Norway, particularly in the capital of Oslo. Bergen, Norway’s second-largest city, wouldn’t be far behind. Well before Wendelboe’s victory, however, Det Lille Kaffekompaniet opened its doors to Bergen in 1996. It would lay the foundation for craft coffee in the city, and it would give birth to many other shops, with many coffee experts in Bergen getting their start at Kaffekompaniet, then going on to open or work for another café. Carl Eugen Johannessen, now founder, owner, and manager of Bergen Kaffebrenneri, was part of the original group that founded Det Lille Kaffekompaniet, though he’s no longer part of it. “At that time, there was maybe just one espresso machine in the whole town,” Eugen Johannessen says. 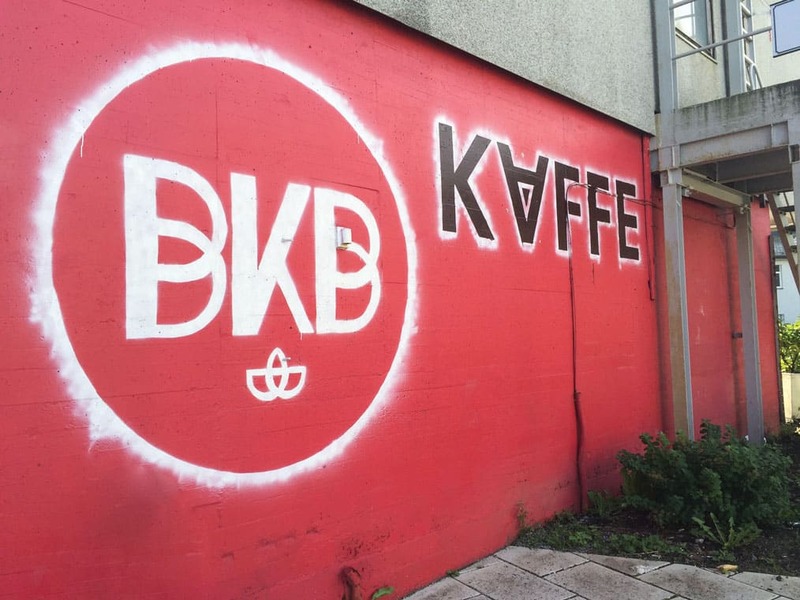 In 2012, Det Lille Kaffekompaniet closed, but Hans Flø decided to buy it. “I thought, maybe I can be the hero,” he says. The café was in his neighborhood, and his daughter was working there as a barista. Flø didn’t want to see it disappear. Under his ownership, the menu changed to reflect the growing market for specialty coffee, and the focus on quality became more intense. Now the shop carries three kinds of coffee beans, all small-batch and all from Norway. Det Lille Kaffekompaniet, which means “the little coffee company,” lives up to its name. 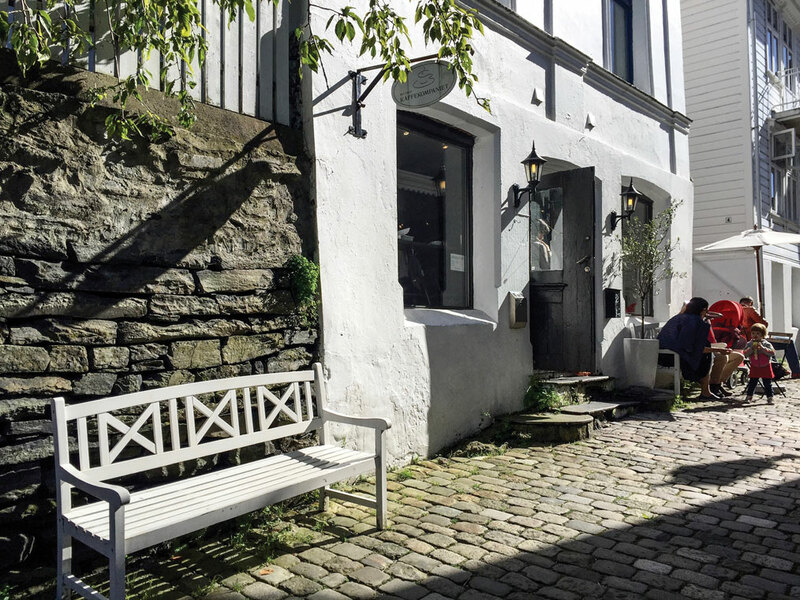 Tucked in a quiet, narrow alley behind Bergen’s most popular tourist attraction, the Fløibanen—a tram connecting Bergen to nearby Mount Fløyen—the café has a tiny coffee bar, and no more than a few tables. The homey, cottage-like café is inviting and distinctly European. Yet it’s the carefully crafted drinks and cozy feel that locals and tourists alike have come to appreciate at the shop—a Chinese television show has even visited twice to film the café, Flø tells me. “The atmosphere here is unique. You’d have to go to the south of Europe to find something similar,” Flø says. Across town, Bergen’s only local roaster, Bergen Kaffebrenneri, is housed in an industrial area, where the Mjellem and Karlsen Shipyard used to be. While I’m still a few blocks away, I start to smell something fresh and caramel-like. At first, the warm, toasted aroma leads me to think there’s a bakery ahead, but I quickly discover it’s the smell of roasting coffee wafting into the street. Even before I encounter the bright red BKB logo, I already know I’m in the right place. Soon, I’m inside and bar manager Annette Friedrich Johannessen is pouring me a fresh cup of Bergen Kaffebrenneri’s Kenya Kiangai. 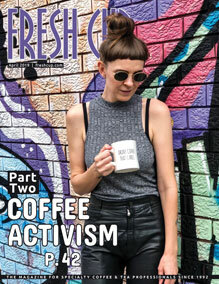 From 2002 to 2007, Bergen Kaffebrenneri’s owner, Carl Eugen Johannessen, worked on a coffee documentary called Man, Woman, Coffee, which explored how he grew up, constantly drinking coffee in Italy’s cafés. While café-hopping, he acquired an interest in roasting. “I started roasting at home, I just got curious,” he says. Soon, Eugen Johannessen was looking to buy a roaster. “I bought it unseen,” he says. The decision was so impulsive that he had to hitchhike it back from Bologna to Bergen on a salmon trailer. A wall outside Bergen Kaffebrenneri. When he brought the twelve-kilogram Petroncini roaster to Bergen in February 2009, Eugen Johannessen was roasting once a month, with family and friends. At first, the roaster occupied a small corner of the film collective Eugen Johannessen co-owned. Just up the street, Kenneth Rasmussen was roasting coffee beans in a popcorn machine. Rasmussen soon started visiting Bergen Kaffebrenneri, offering suggestions for improving the process by roasting lighter. “He started experimenting,” Eugen Johannessen says. “After a year, he was a full-time employee.” Rasmussen is now co-owner and chief roaster. 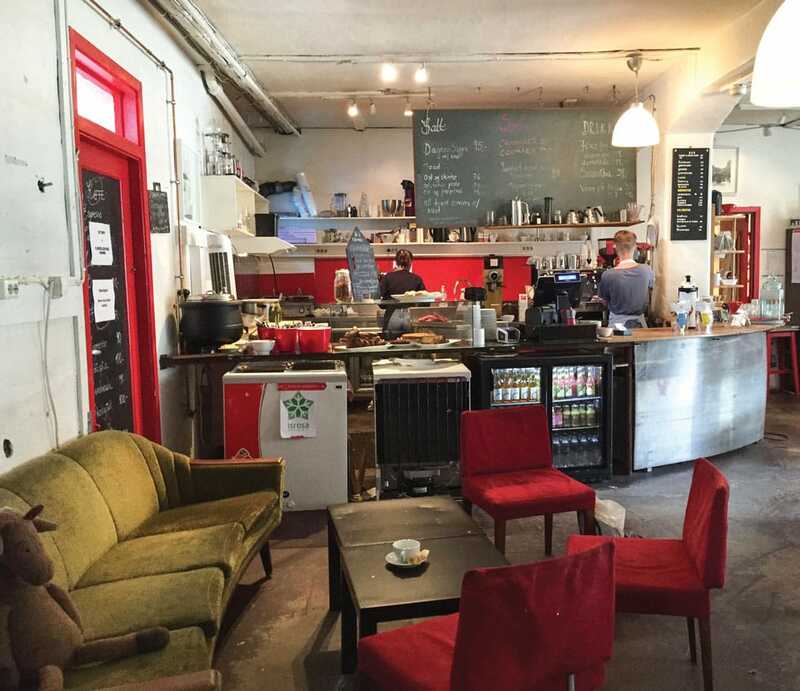 As the area around them has transformed from shipyard to business district, Bergen Kaffebrenneri has grown as well. Three years ago, they opened a full coffee bar, and hired Friedrich Johannessen as bar manager and roaster. Recently, they bought a new roaster, a Giesen that holds thirty kilograms of beans and is less sensitive to changes in the weather. Bergen Kaffebrenneri is Bergen’s first coffee roaster and regularly offers courses and cuppings to the public. Though they’re the only local roaster in town, “we’re not so formal, we make coffee for everyone,” says Eugen Johannessen. 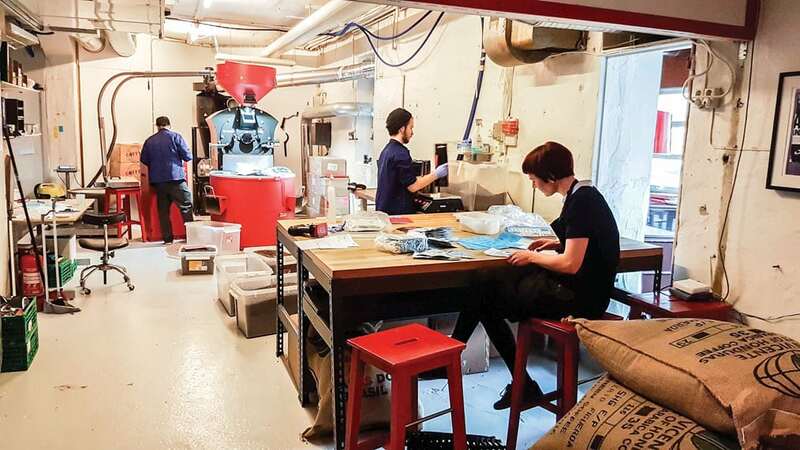 Independent, small-batch roasting is a new concept for many Bergen residents, and Bergen Kaffebrenneri strives to make the experience a positive and inclusive one. The shop’s warehouse location several miles from the city center, as well as its sprawling space, contributes to a comfortable, no-frills vibe. Its older-but-spacious location in an industrial shipyard is uncommon in Norway, a country known for modern, minimal design, and Eugen Johannessen says people feel “a bit abroad” when they visit. Back in the city center, I head for Kaffemisjonen, a café preceded by its reputation and passion for coffee. Everywhere I went in Bergen—from my Airbnb to a small soup restaurant—anyone who heard I was writing about coffee insisted I speak with Jan Richter Lorentzen, the shop’s owner and 2015 winner of the Norwegian Cup Tasters Championship. 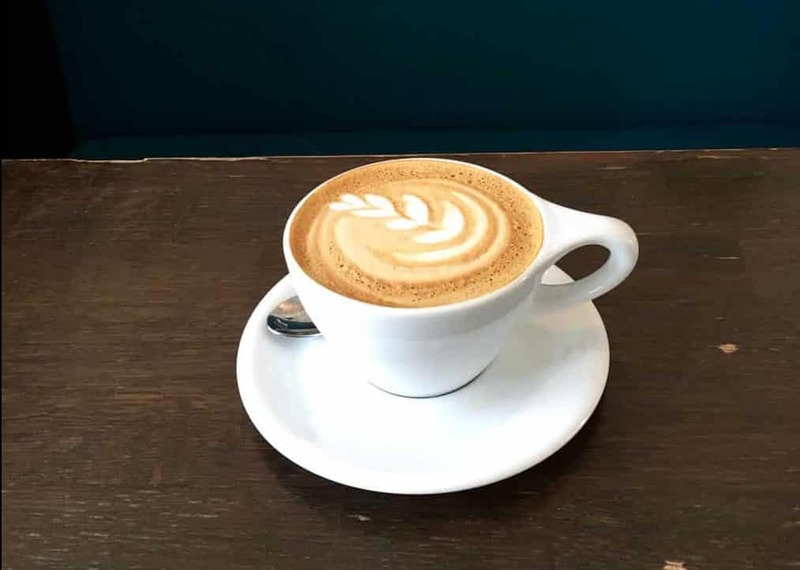 Though Lorentzen is out of town during my visit, I sit down with Christian Nesset, two-time regional barista champion, to understand why Kaffemisjonen is so treasured. Before we begin the interview, Nesset prepares us a fresh Chemex of Kenya Gathaithi roasted by Jacu, a Norwegian roaster from the coastal town of Ålesund. 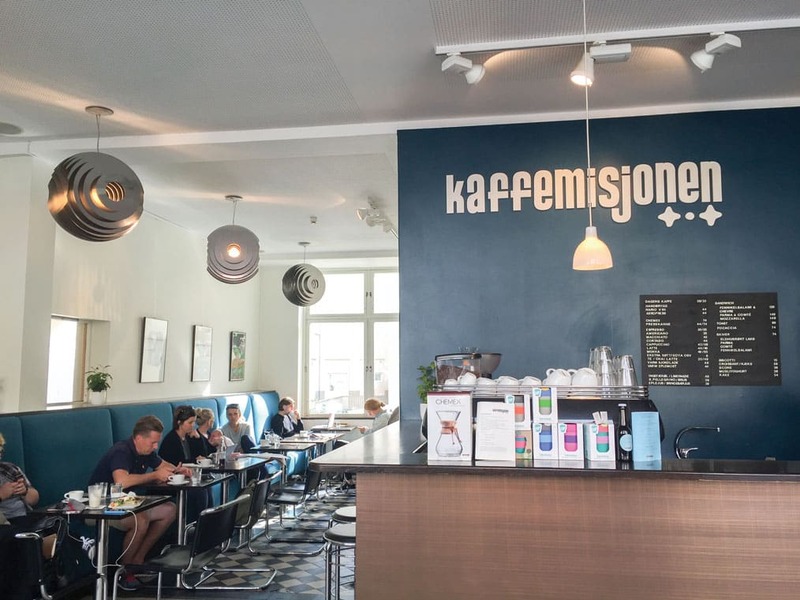 Kaffemisjonen, which means “coffee mission,” opened in 2007 “to talk about origin in a time where, at least in Norway, that hadn’t quite started yet,” Nesset says. For a while, they were also one of the only shops in Bergen to offer more than one brew method. Kaffeemisjonen, which means “coffee mission,” chooses its selection of coffees from blind cuppings. A cappuccino from Bergen’s Kaffemisjonen. When I ask Nesset what makes Kaffemisjonen unique, he’s quick to answer. 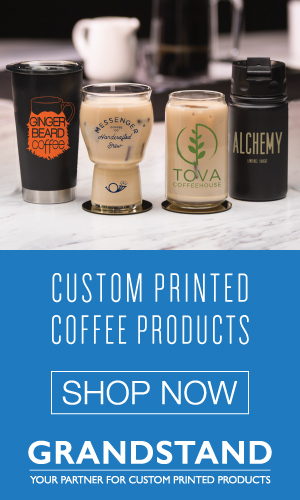 “Our selection of coffee is from blind cuppings.” Every so often, Nesset and the other baristas get together to sample coffee from various roasters, and what they offer in the shop is the direct result of what they like. 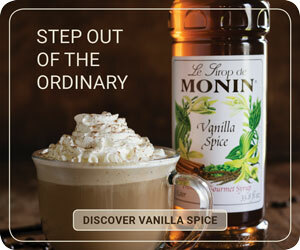 Because of this, their coffee selection rotates frequently. “We’re totally independent,” he says, and that gives them the freedom to provide only the best coffee. But Bergen is proving that coffee can be much more than that, and that the kaffeverden, or coffee world, can thrive in Norway. 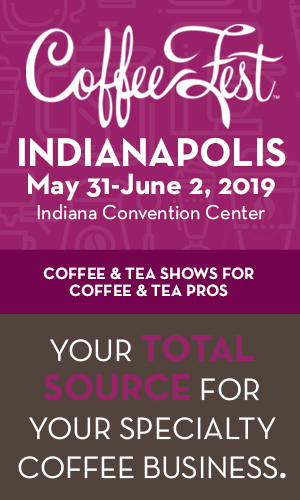 In a small city with a global reach through its booming tourist industry, all it takes is passion, education, and a commitment to quality to turn coffee drinkers into coffee connoisseurs. —Kaitlin Throgmorton is a Seattle-based freelancer.